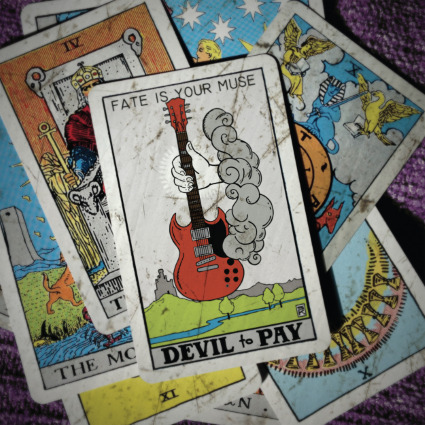 JP's Music Blog: CD Review: Devil To Pay Have Sealed Their "Fate"
From Indianapolis comes the hard rock band Devil To Pay with their third full-length album, “Fate Is Your Muse.” The album was released on April 9 through Ripple Music and features some of the band’s best songwriting to date. Devil To Pay has suffered through the past ten years of trouble and turmoil to create an album to be proud of. Devil To Pay performed an album release show earlier this month and has a couple more shows on their schedule in the Indianapolis area. For more information on the band and their new album “Fate Is Your Muse,” please visit deviltopay.net.